According to The Moodie Davitt report, The President and CEO of Starboard Cruise Services which is based in Miami, Florida has departed. The company which provides onboard stores and supplies to many of the major cruise lines is now searching for her replacement. Beth Neumann joined the Starboard in December 2013 after taking over from Rob Norris who has been at the company since 2000. Neumann has gone for a new role at a New York-based private equity firm from February 2019. Senior Vice President Cruise Line Retail David Goubert has also left Starboard Cruise Services and he had been in that position since 2015. Goubert had been with the company since 2000. He has recently been named as Executive Vice President, Stores and Retail Experience at US department store group Neiman Marcus. With the two major leadership departures, Anish Melwani, Chairman & CEO of parent company LVMH Moët Hennessy Louis Vuitton Inc has taken the role of Chairman for Starboard Cruise Service and making sure everything continues as normal. The general cruiser might never have heard of Starboard Cruise Services but it is likely you’ve stepped inside one of their stores during a cruise. 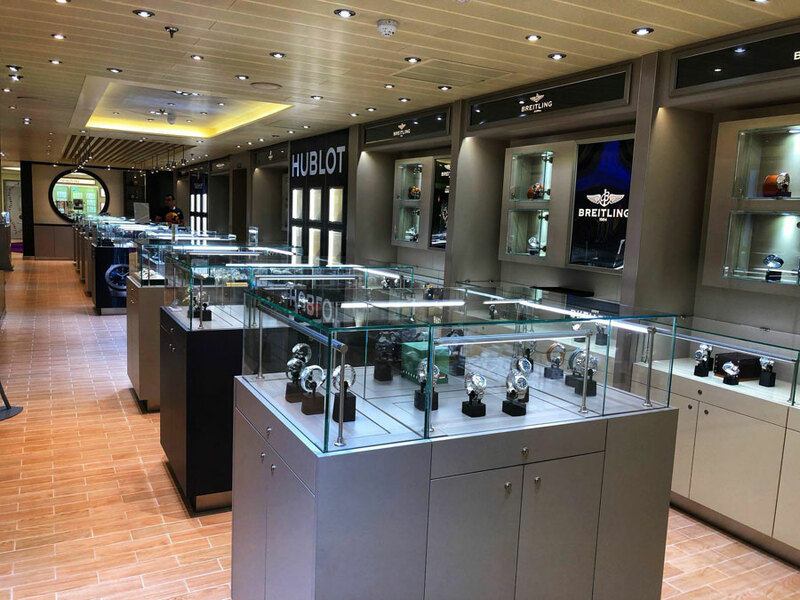 The provide the retail aspect of more than 100 cruise ships across many of the major cruise lines including Carnival Cruise Line, Royal Caribbean, Celebrity Cruises, Princess Cruises, Norwegian Cruise Line, Costa Cruises and more. In total, the company has around 700 stores aboard cruise ships. Starboard will expand to another five new cruise ships in 2019 along with the renovation of many more. You’ll find the stores on Celebrity Edge and even the world’s largest cruise ship Symphony of the Seas are operated by Starboard.